We believe this … we really, really do. When you ‘bank’ at a credit union, you are an owner – with a voice, and a say in how things are run. Don’t like how your branch is being run? Have an idea that you want to share? You can talk to the branch manager, call up the CEO, or even join our board of directors. When you ‘bank’ with a credit union, profits go back to you (in the form of profit sharing) and your community (by way of donations, sponsorships and scholarships). We give our profits back to our shareholders – you. When you ‘bank’ with a credit union, you are part of something much bigger than yourself – credit unions are on a mission to improve the quality of life for everyone. We like to say that it’s banking with a higher purpose! 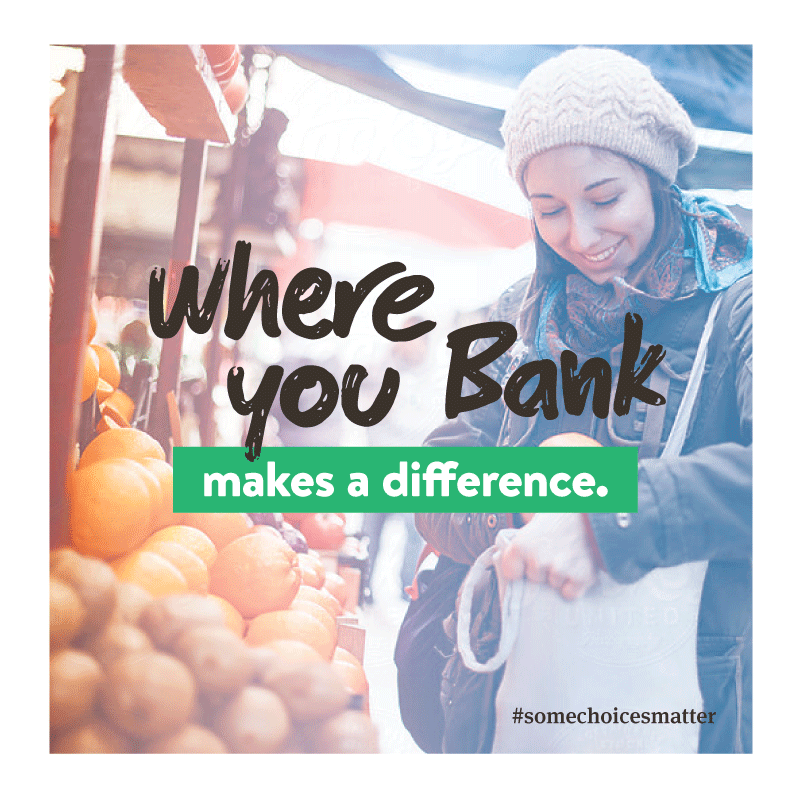 Choose to bank with a credit union – because where you bank really does make a difference.